Steve Botuchis is a highly skilled practitioner of EFT having trained with Gary Craig, the founder of EFT and Carol Look an EFT Master. Steve is currently taking on new patients and you can schedule an appointment by calling him at (513) 324-3211 or you can reach him by email at steve@stevebotuchis.com. "EFT is a very flexible improvement tool that can be used for just about everything. Steve uses his version of it and has had extraordinary results improving physical pain as well as a variety of emotional issues. The original version and complete training can be found at http://www.emofree.com"
Emotional Freedom Technique (EFT) is a system of finger tapping on acupuncture sites. EFT is founded on the 5,000 year old tradition of Oriental Medicine. It is based on the fact that the body has a complex series of energy circuits, or meridians, which run throughout the body. EFT has nine easy steps and is simple to learn. With a little practice you will be performing each round in under a minute. EFT operates from the foundational core that all negative emotions are caused by a disruption in the body's energy system. By tuning into the problem and tapping on acupressure points many problems from simple to severe are resolved in a matter of minutes. Other problems may require several sessions with a need to uncover several layers of emotional issues. EFT is extremely effective at dealing with emotional issues, traumas and phobias as well as physical problems of all sorts. These range from headaches to sore shoulders to asthma to fear of heights, weight loss etcetera. Based on the premise that unresolved emotions can compromise our potential for happiness, EFT began as an effective remedy for phobias, addictions and war trauma. Vietnam Vets were finally able to sleep at night, smokers could choose fresh air, and paralyzing phobias lost their grip...all without medication! Combining this emotional element with the ancient principles of acupuncture, EFT has been able to address the causes of these energy disruptions with a gentle tapping procedure (using the fingertips). Impressive results ensue because the process addresses causes instead of symptoms. Most recently, advanced EFT applications have been demonstrated on clients with serious diseases at a series of workshops in the US and England. These workshops have drawn between 250—400 participants each, and clients have walked away with measurable relief from Parkinson's Disease, Cystic Fibrosis, Diabetes, Chronic Fatigue Syndrome and Multiple Chemical Sensitivities, to name a few. Practitioners around the world are trained to teach and apply EFT, and over 100,000 people receive the EFT newsletter. It is also spreading internationally, and the EFT Manual has been voluntarily translated into French, German, Italian, Spanish, Dutch, Persian and other languages. EFT is destined to become a household word. As Gary Craig says, "We are on the ground floor of a new Healing High Rise". Energy meridians that run through our body can be blocked or disrupted by unresolved emotional issues, thereby compromising our natural healing potential. Quite often, people are aware of the events or memories that trigger emotional discomfort in their lives, but they have not yet connected those memories to the symptoms of disease in their bodies. Using EFT, it is possible to revisit the event(s) in question, and balance the disturbed meridians. Properly done, both emotional anguish and the physical symptoms often subside. 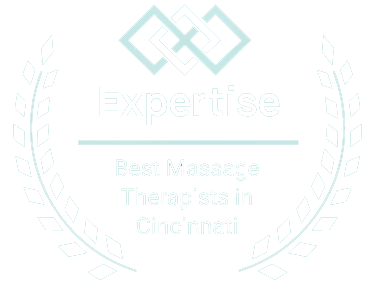 Although based on acupuncture, EFT has simplified the realignment process by gently tapping on key meridian points on the head, torso and hands. Traditional acupuncture needles are not necessary in this process. A basic EFT application would initially focus on a current issue. This would include simple language designed not only to hold the focus, but also to add self-acceptance to the process. For example, someone trying to address migraine headaches might say "even though I have this horrible headache, I deeply and completely accept myself", while tapping through the points. If this initial procedure provides significant relief, then applying the Basic EFT procedure as headaches appear can be very effective. Interestingly, it has provided permanent relief in several migraine cases. If the headache hasn't vanished after the initial realignment, or if the Basic procedure doesn't provide relief for subsequent headaches, then there is almost always a deeper emotional factor at work. Advanced EFT application can enhance the results significantly, and is usually necessary for more complicated cases. The best EFT practitioners have learned the techniques available for uncovering the core issues, and approaching them with minimal amounts of emotional pain. Although the Basic EFT procedure has shown astonishing relief for a wide variety of symptoms, applying EFT to serious diseases and chronic illness requires advanced experience. Please consult a qualified health practitioner before using EFT or before discontinuing any treatment or medications. For more information contact www.emofree.com hosted by the founder of EFT, Gary Craig.